Nose: Warm, plum, nuts, iris, and sweet vanilla. Palate: Nice structure, pleasant length, fruity and woody notes, hazelnut. The S.O.B. 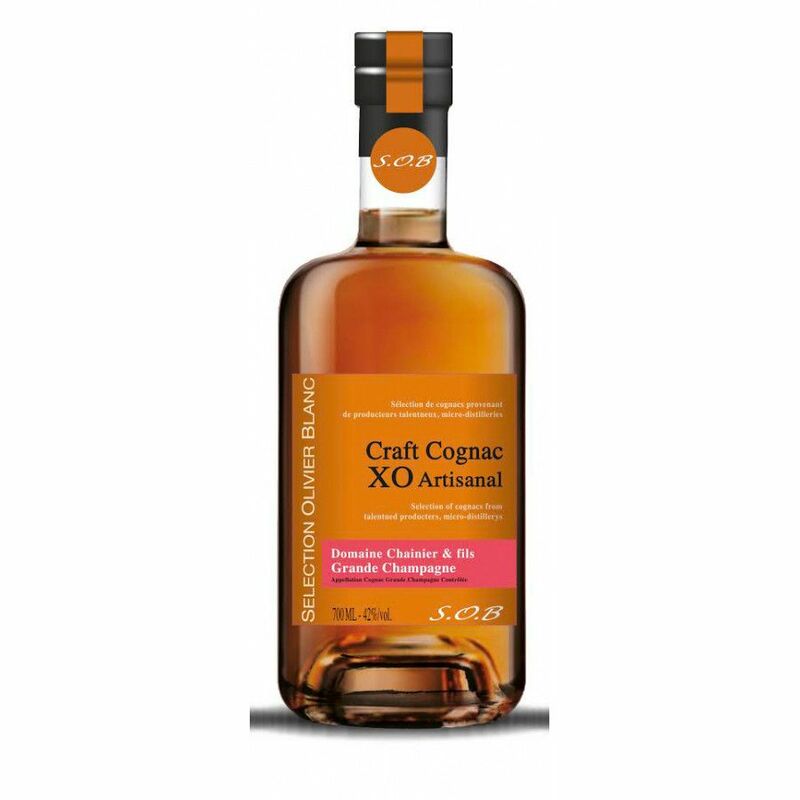 XO Artisnal Domaine Chainier Grande Champagne Cognac is a real sensory treat! From the moment you set eyes on its warm amber robe you'll be entranced. On the nose it explodes with notes of iris, nuts, plum, and vanilla, and the journey only continues to get better as you take a sip. The Cognac is part of an exclusive group known as S.O.B, or Selection Olivier Blanc. This world renowned Cognac expert has put together a small, very select group of artisanal houses that showcase the very best that hands-on Cognac production has to offer. If you're keen to enjoy a Grande Champagne XO Cognac that's as far away from mass production as you can get, then this should be at the top of your wish list. while the nose is a bit flat.. that palate is amazing. Typical grand champagne soil I guess. Unfortunately the finish is a bit rough for my taste. Still, very good value for money compared to other cognacs..
Tasting review: Color : Amber gold Nose : spontaneous with a noble oxidation, old leather. Palate : perfectly balanced, incredible structure, deep complexity, almost infinite persistency, perfect marriage of the fruity and floral notes supported by a discreet woody taste. On the nose: Complex, fruity. In the mouth rather full, pepper and then round. Good finish.